Billy Vunipola's support for Israel Folau is either naive or just plain wrong. 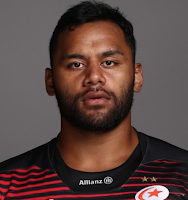 According to Vunipola, Folau's Instagram post claiming that "hell awaits" homosexuals (amongst others) was merely a case of Folau saying that people should live their lives "closer to how God intended." Firstly, who is Folau, or indeed Vunipola, to tell anyone what God (for those who choose to believe in such a being) intends, but the main issue here is that the tone and the language used by Folau was way more than mere lifestyle advice. Use of the term "hell awaits" promotes an aggressive intolerance that has no place in society and is contrary to the values of rugby. Taken to the extreme, language like this leads to discrimination and violence and for Vunipola to condone it shows a spectacular lack of judgement. Rugby Australia finally appears to have woken from its slumber on this issue and Folau's days as a professional rugby player look numbered. 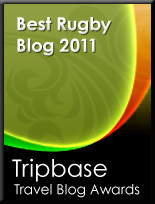 The RFU will be speaking to Vunipola, apparently, and rightly so. He needs to acknowledge his mistake. "There just comes a point when you insult what I grew up believing in that you just say enough is enough - what he's saying isn't that he doesn't like or love those people"
If someone said that defending their position on discrimination against women, it wouldn't be tolerated and the responsibility being someone in the media spotlight and with a wide following is great. You can certainly say what you like - but there is no escape from the consequences of what you say. Crusaders - what's in a name?